If ever you find yourself having to choose a last meal, and it must be a sandwich, you’d be doing yourself a final favor to request this Chorizo Buffalo Chicken Sandwich. 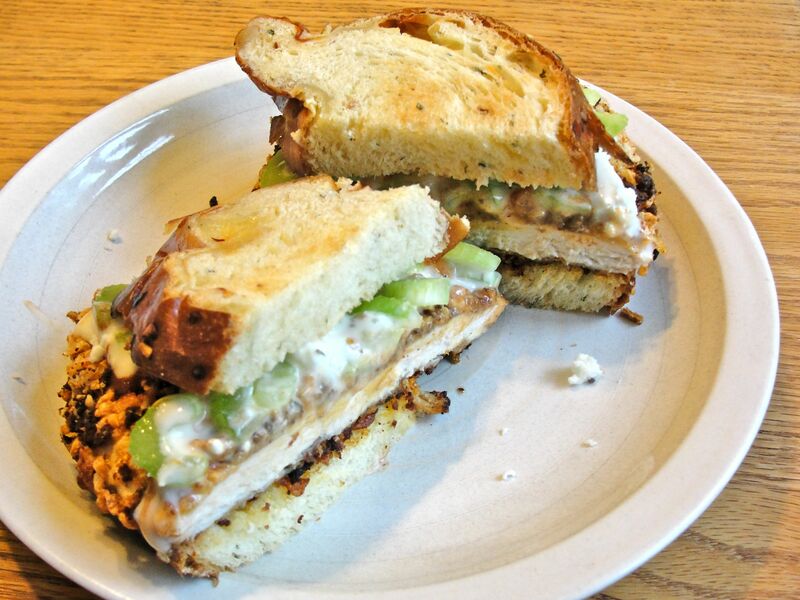 This is a sort of tribute to Katja’s Kitchen, as it is a variation of Katja’s Oven-Baked Buffalo Chicken Sandwich. I used her recipe pretty much as-is. 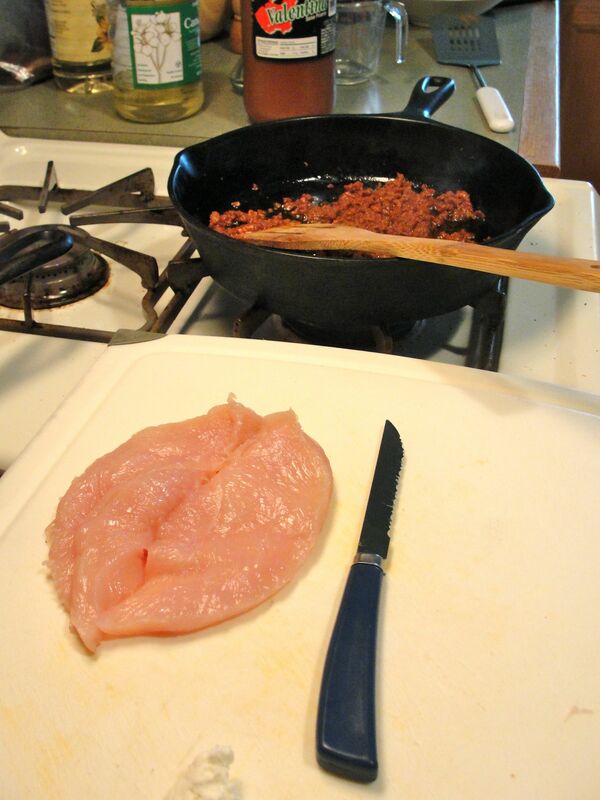 However, I started by browning about 2.5 ounces of mexican chorizo in a pan. I cooked the chorizo slightly less than I would if eating it immediately; after all, it’s going to bake in the oven with the chicken. Next, I pressed most of the fat from the chorizo and mixed it with .5 ounces of lightly crushed Special-K breakfast cereal, then coated the chicken breast as she described in her recipe. Be sure to press the coating to the chicken so that it is still adhered when it finally makes its way to your sandwich. 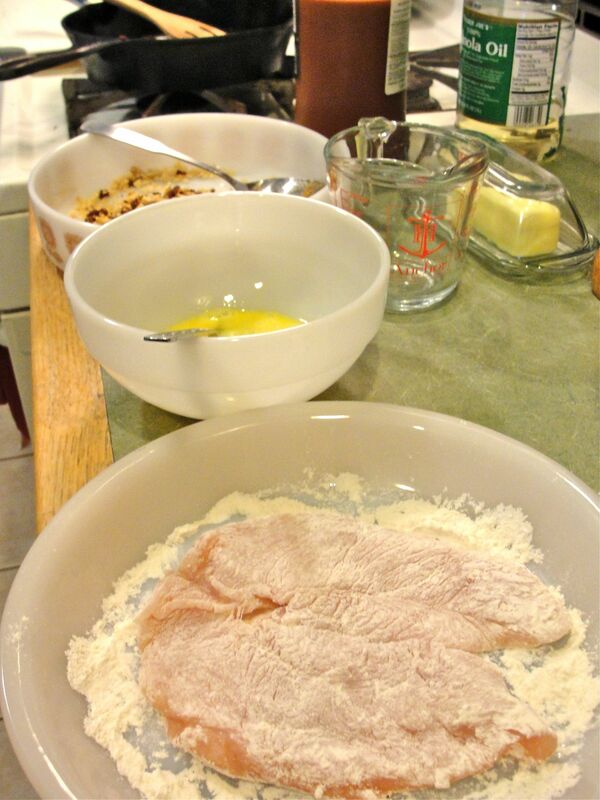 Dredge the chicken breast in flour, coat with egg, and chorizo/cereal mixture. I similarly baked it in a 350° F oven for 30 minutes. Thanks for this and the other recipes, Katja! Yet another recipe that I need right this second, lol. Looks amazing! 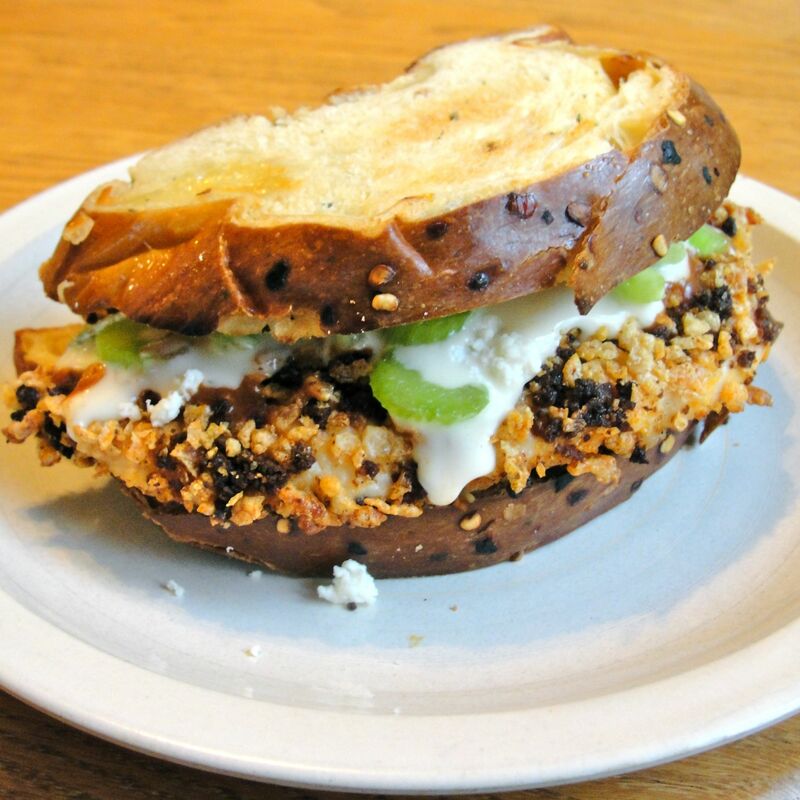 Actually, I have a ton of pretzels, so I’m going to have to switch to pretzel-crusted entrées soon!